I am an expert in personalized tutoring and consulting to meet the needs of every student, every family, and every organization. I am a teacher who cares even more about building motivation than I do about improving grades. I attended two world-class universities and have taught in college and high school and in the corporate classroom. Wherever you are - from middle school to college bound to university students and beyond - you can rely on me for your class support tutoring, special projects assistance, software training, and test preparation courses. I really enjoy working with homeschool families to plan individualized, standards-aligned programs, and to help with instruction of advanced courses of study. I am available for both in-person and online sessions that can meet your needs and schedule. I am a current certified teacher in California in English [including drama] and Social Studies. That qualification includes BCLAD certification for English Learners. I have a degree [BS in Economics] from the Wharton School at the University of Pennsylvania. Wharton is a world-class program that requires a broad base of preparation. I am certain I can work with students needing support in basic Business Introduction and above. I have a degree [BS in Economics] from the Wharton School at the University of Pennsylvania. The CFA is a broad and detailed exam. My academic background and years of experience in adult education make me uniquely ready to work with professional testers. I have a degree [BS in Economics] from the Wharton School at the University of Pennsylvania. Wharton hosts one of the first [and best known] econometrics programs in the world. I have studied both economics and mathematical methods and am ready to support students in college level econometrics. I am a certificated English teacher and Business instructor, including Finance. I passed the GMAT and have years of experience in test prep coaching. I have a degree [BS in Economics] from the Wharton School at the University of Pennsylvania. Marketing is a blending of sociology, statistics, and business management, all things I studied at Wharton and have taught in a corporate classroom. I am a graduate of the Wharton School with years of teaching experience, including Microeconomics. MS Publisher does easily all those desktop publishing tasks that MS Word struggles with. So many MS Office users try to use the wrong software for the job at hand. I was in corporate training and curriculum development for more than 10 years. I was certified by Microsoft for user and technical training. I can show you how to choose the right product AND how to create the beautiful end product you need. In California, Speech and Drama are a part of the English certification process. I am a current certificated teacher in California in English[including drama] and Social Studies. That qualification includes BCLAD certification for English Learners. I have passed all basic and subject tests in order to earn certification. I have more than 10 years' experience in corporate technical training and curriculum development. As a teacher and technical consultant, I am uniquely qualified to teach you the skills for success with MS Access. My Master's project was in Database Design and I have completed a number of large- and small-scale data design projects. I held a Microsoft Technical Certification for several years, although it has lapsed since I left full-time corporate training. MS Outlook is one of the most-used software packages worldwide. It can be the catalyst for presenting a small project as though it were a developed corporation. I have more than 10 years' experience in corporate technical training and curriculum development. I've led hundreds of users from basic email to full-use of the many capabilities of Outlook. I have more than 10 years' experience in corporate technical training and curriculum development. Along with that, I have extensive background in project management, especially using MS Project. As a teacher and technical consultant I have had the privilege of leading MS Project training many times, including a month-long program for the United Nations in New York City. As travel costs rise and budgets are tight regional and worldwide teams need dependable software and the skills to use it effectively if they are to assure project success. I can show you how to accomplish YOUR project. I have more than 10 years of experience in corporate technical training and curriculum development. I held a Microsoft Technical Certification for several years, although it has lapsed since I left full-time corporate training. I have more than 10 years' experience in corporate technical training and curriculum development. I've not only taught Visual Basic, but have completed a number of large and small VB projects. I held a Microsoft Technical Certification for several years, although it has lapsed since I left full-time corporate training. I am a current certificated teacher in California in English and Social Studies. That qualification includes BCLAD certification for English Learners. I have passed all basic and subject tests in order to earn certification. I am a certificated English teacher. 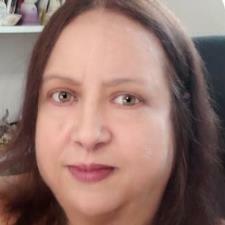 I am a certificated English teacher with years of experience in SAT coaching. I am a certificated English teacher and tutor. I am a current certified teacher in California in Social Studies. I studied History, Geography, Sociology, Economics and Regional Science at the college level. I have been a certificated teacher in World History. I am a currently certificated teacher in California in English[including drama] and Social Studies. As you know, CBEST is a required qualification. I am also an experienced teacher of adults. I am certain I can help YOU get the score you need. As a long-time SAT/ACT/AP/GED tutor and an adult educator, I am uniquely suited to working with those aiming at entrance to Nursing School. We will work on subject matter, testing skills, and overcoming test anxiety. Jo was available when I was in a jam, and she was efficient and most effective in bringing me up to speed in the areas I needed to study. She paid special attention to what my needs were, and thanks to her thorough teaching, I passed my exams with flying colors! I wouldn't hesitate to use her again! I have worked with Jo. K and have found her to be extremely helpful with my work assignment. I have found her to be very prompt, actuate and sincere about her working relationship with me. My first experience with Jo. was great! She assisted me with one of my writing assignments. She provided me with feed back, editing, and clarity. After working with Jo, I felt confident turning in my first writing assignment to my instructor. I am currently on academic probation but I have gained a great deal of confidence since the short time I have been working with Jo. Her positive attitude with my work assignments is what I need to get through my courses. In addition, she makes personal follow up weekly calls (without charge) to assure I am on schedule with my work assignments. I look forward in working with Jo with additional assignments. Thank you Jo for all of your support. You are highly appreciated. Jo helped my daughter get a B on her accounting final. Thank you Jo for being available the night before the final. We will definitely use your services again. The Best, most patient and informative tutor I have worked with!! Jo exhibits a get it done attitude and a tenacity that is very admirable. Her basic understanding of the business issues involved were a huge help. She is by all accounts a very quick study and can be helpful to anyone who uses her services. I could not be more pleased with her work!